Following the fall out with the Philippines, the United States now has another sharp critic in Southeast Asia. The authorities of Cambodia have accused the US of "brutal and bloodthirsty" policies and "interference in other’s affairs." The conflict is linked to aid that Washington is providing to the Cambodian opposition on the eve of the nationwide elections, RIA Novosti contributor Igor Gashkov wrote. Relations between Cambodia and the United States have been deteriorating rapidly throughout 2017, as the nationwide elections scheduled for June next year are approaching. The Cambodian authorities believe that Washington is betting on the opposition, The Cambodia National Rescue Party (CNRP), which enjoys significant support in the cities. The municipal elections held a few months earlier brought success to opponents of the current government. However, the majority of voters in Cambodia live in rural areas, where the heir of the former communist party, Prime Minister Hun Sen, enjoys wide support. 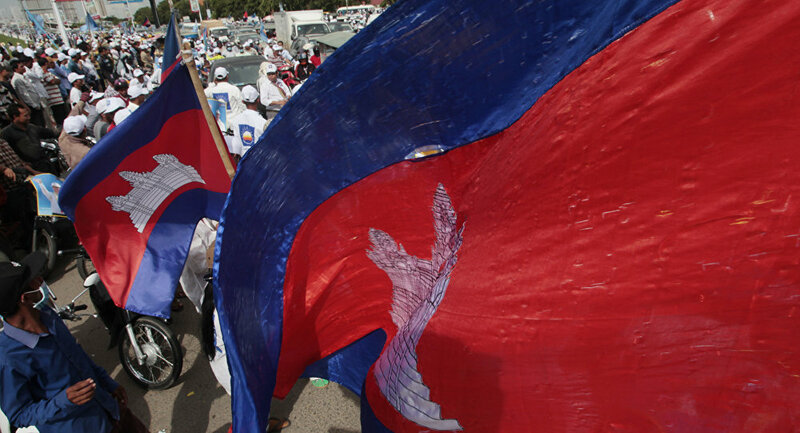 The question arises why would the US want to support the Cambodian opposition? One reason could be that the current prime minister of Cambodia, who supports China, is working toward building better relations with Beijing. Both Cambodia and China continue on the path of transition from a conditionally socialist model of society to an equally conditional capitalist system, while not abandoning the institutions of strong power. However, it seems like the US plans to hinder this developing alliance between Cambodia and China, Gashkov wrote. In the second half of the 20th century, Cambodia was influenced by Vietnam, which is now balanced by friendship with China. However, the Cambodian CNRP has recently proposed that the country align itself with the West instead and boycott China; but such a dynamic is unacceptable to Prime Minister Hun Sen. Since the election of US President Donald Trump, US-Chinese relations have been going through some hard times. Washington is considering the possibility of imposing economic sanctions against Beijing, and US planes have been flying over the islands of the Spratly archipelago, which China considers part of its territory. In this scenario, it looks like Cambodia and its leader inevitably have to make a choice. “He cannot choose the US, because he is under constant pressure from this country. This prime minister [Hun Sen] has been in power for more than 30 years, and the US calls his regime semi-totalitarian. Nevertheless, elections are held in Cambodia, the party of power may lose them, and this time before the nationwide vote there is a very tense situation,” Mosyakov said. He further said that the opposition party receives grants from the US and currently the two parties are at odds with each other. “In the bipartisan system that has developed in Cambodia, there is a dead end. The opposition accuses the authorities of manipulating the elections, but it exacerbates the situation by using discontent, not necessarily related to its own agenda,” the expert concluded. The director of the ASEAN Center at MGIMO, Victor Sumsky, said that Hun Sen is sending a signal to the opposition. “It is hard to imagine that in preparing such tough statements about the US political course, the Cambodian authorities did not discuss their tone and content with their Chinese partners,” Sumsky said. According to him, the Cambodian authorities are clearly letting the US know that if the opposition crosses a red line during the elections of 2018, the Cambodian government is not going to tolerate that. Will Xi Jinping's 'Old Buddy' Terry Branstad Resolve US-China Differences?